After being pleasantly surprised by the decor in Witchcraft and Wizardry, I was keen to see what Escape London had done with the pirate theme of this game. While we’d not had much interaction with them during the first game, it was great to see that they had confident hosts who could give a decent introduction (although I was slightly confused as to why there were three of them – we never saw another team that evening). It’s a reasonable place to wait around in between games – although the benches aren’t amazingly comfortable or conducive to chatting. While there isn’t a lot of space (and there’s only one toilet! ), they get away with it because of their staggered starts. On the odd occasion when it’s not staggered, it will presumably be a large group of friends/acquaintances, so it’s probably OK.
You and your crew have been locked away in the brig. Does your team have what it takes to escape your cell, break into the Captains chamber and steal the treasure all for yourself? Glory and riches await…. Escape the Seven Seas is a split-start game but not an overly complex one. 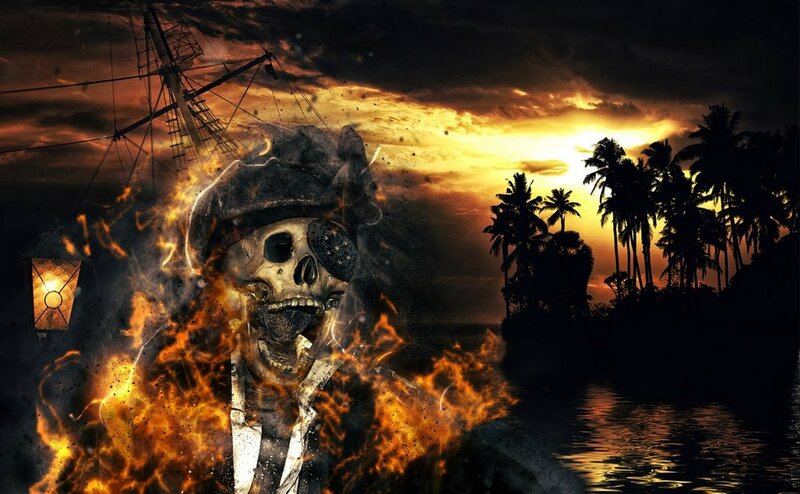 It’s relatively simple to unite the team, which is probably the right decision for a pirate theme; there’s a decent chance you’ll have children taking part fairly often, and getting the group back together is therefore a priority. Looking around the space, I found it to be nicely decorated. One of the things I like about pirate themes is that they tend to feel above average quality. It’s hard to go wrong with ropes, brass and wood. Before we even started, we hit a bit of a snag – they’d left something unlocked that shouldn’t have been. We could simply have ignored it or closed it ourselves, but it was just about plausible that it was part of the story – they’d carelessly left something not quite properly done up. Sadly, there’s no audio in these games, so we were left trying to get their attention over the camera for quite a while. Since we were imprisoned in the game and therefore unable to move very much in the room, it took a while for them to realise that something was wrong. Audio is an important element of GM-ing a room, so it’s a shame that they’ve chosen not to set it up here. Take two and we were quickly on our way. There’s a decent variety of puzzles in this game which, while not massively original, did at least fit well with the theme and were, on the whole, fun. All went well until we hit one particular puzzle. With four experienced players in the room, we were pretty confident about what we needed to do, but it was ridiculously ambiguous. In particular, it had layered ambiguity: both the language used and the symbology pointed in more than one direction. When combined, these ambiguities led to a host of different possibilities. Add to that a lock type that’s known to be a bit temperamental and we were left tediously inputting combination after combination for what seemed like an eternity. When we finally found out the solution, we were less than impressed. This should have been a fun puzzle that represented the journey to find the pirate treasure, but it ended up being a horribly frustrating experience. Almost immediately after that puzzle, we hit another (admittedly less) ambiguous puzzle. To make matters worse, when we started getting clues for the puzzle, the first few were telling us what we already knew. Again, the lack of audio let them down: they had no idea what connections we had or hadn’t made, so they needed to be careful not to overfeed us on clues. I understand that, but it’s still incredibly frustrating when you’re totally blocked, you finally succumb and ask for help, and then they don’t tell you anything of use. We took about forty-five minutes, having been blocked by the ambiguous puzzle for about fifteen. We took a series of clues, all on that puzzle. This was a pretty game with some fun puzzles, but our enjoyment was severely impaired by the ambiguity of a couple of solutions. If you get easily frustrated, you should definitely steer clear of this experience. On the other hand, if you’re not, then there’s some fun to be had, although I think you’d be better off heading to one of the many other better games in London. If you do decide to come here, I’d suggest no more than three enthusiasts – in our team of four, I found myself feeling a bit sidelined a couple of times.